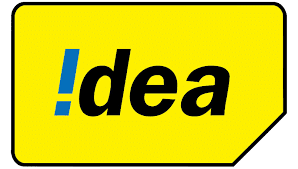 Idea Cellular has launched a new recharge plan to match Reliance Jio and Airtel. Remember that Vodafone and Idea have merged. The idea has introduced a new prepaid plan of Rs 149, which comes with the convenience of the plan data, voice calling and SMS. The company's combo pack comes with the validity of 28 days. A few days ago Idea-Vodafone launched 6 Combo packs for selected circles. These plans are equipped with talk time, data and other features, the validity of these packs is between 28 days and 84 days. With a validity of 28 days, Idea's 149 prepaid plan comes with 33 GB data, unlimited voice calling and 100 SMS per day. According to the report of Telecom Talk, 250 minutes in one day and 1000 minutes in one week will be given. This pack of Idea is for Karnataka, Andhra Pradesh, and Telangana users. Airtel and Jio also have recharged plans at the same price in the competition of Idea 149 rupees. In Reliance Jio's 149 plan, 1.5 GB 4G data per day, unlimited voice calling, 100 SMS per day. The validity of the plan is 28 days, this means you will get 42 GB data, which is higher than Idea's 33 GB data. Apart from this, the calling limit is set in the Idea Plan but it is not so in Reliance Jio. Now talk about Airtel Recharge Plan Airtel offers up to 1 GB of data per day, unlimited voice calls, 100 SMS per day. This plan also comes with the validity of 28 days. This means that you will get 28 GB data in total. Idea offers more data in the price war between Airtel and Idea.